Liverpool’s 4-3 win against Newcastle United at Anfield in 1996 It remains a seminal game in English football, full of end-to-end action and utter drama. 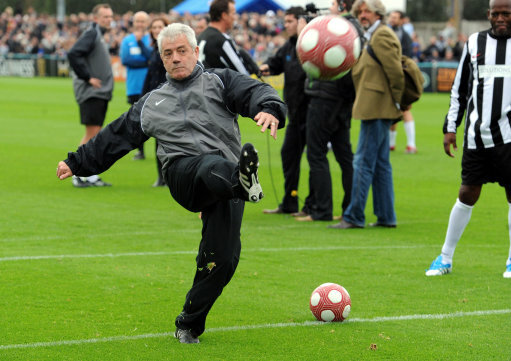 At the weekend, the two clubs came together once more, to recreate that classic game all for the sake of a number of fabulous charities including the NSPCC, CHUF, Alan Shearer Centre, Sir Bobby Robson Foundation and NE Children’s Charity Pathways. 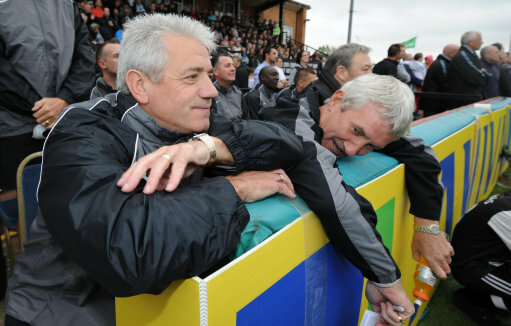 Liverpool’s team, which was managed by Phil Thompson, included Anfield icons including Steve McManaman, Jason McAteer, Don Hutchison, Bruce Grobbelaar, Patrick Berger, Ian Rush, Michael Thomas and, erm, Neale McDermott (Terry’s son – he plays in Malta) while the Newcastle manager Kevin Keegan could call upon a plethora of United greats including Faustino Asprilla, Philippe Albert, Keith Gillespie, David Ginola, John Beresford, Lee Clark and Alan Shearer. 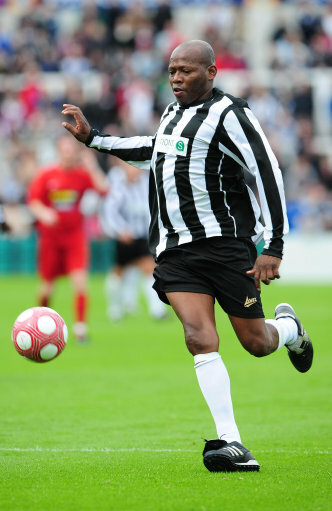 Tino Asprilla doesnt have studs there. poor form with the top caption. @_wowza – Don’t see how the first caption is “poor form”. 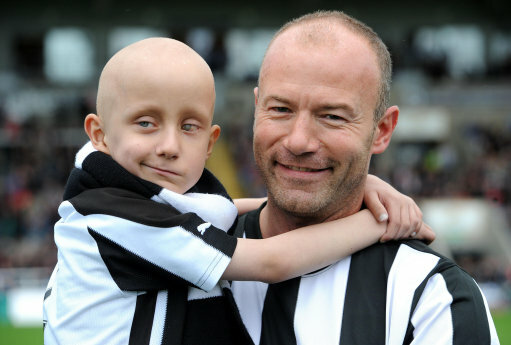 Rather than patronise the boy in the photo, I comment on the fact that he doesn’t look too happy with Shearer, thus treating him as I would anyone else. There is nothing at all offensive in that.